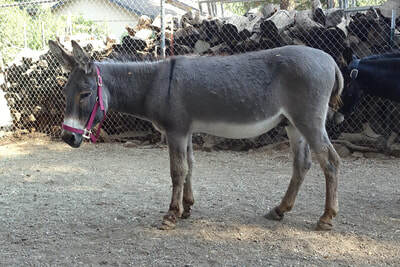 Continuing to support DreamCatcher in its recovery period after the long illness and passing of their Executive Director, AAE took in several of the DreamCatcher burros. Three came into AAE in August and two in September. They are so cute, and there was a ton of adoption interest! These lil’ guys did not stay long, and they barely had names before they left. 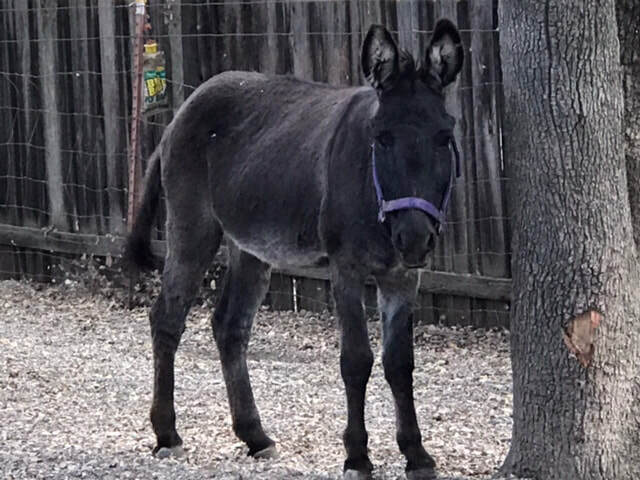 The first 3 Burros AAE received were all wild, and their first introduction to humans was at DreamCatcher before they made the journey to AAE. Lefty (Burro #035) came into his name because of a left hoof malformation. Remaining hooves were in good condition. His teeth, hooves, vaccines and deworming were done at AAE. 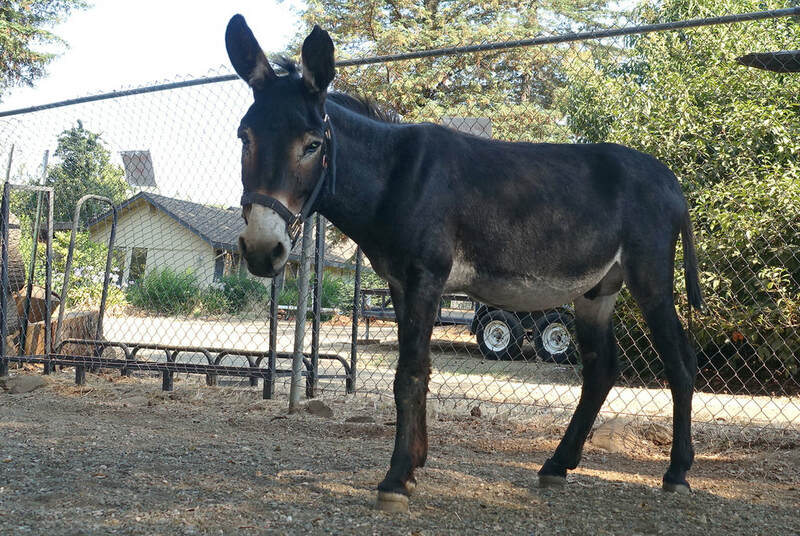 Fortunately, after a little sedation and dental work, hoof radiographs did not indicate any serious issue. With a trim, his hooves were much improved, but hoof handling would be a work in progress. Lefty was the first of the three to find his forever home. Burro #031 otherwise know as Joe, was a bit shy, but slowly accepted humans with leading and grooming. His teeth, vaccines and deworming were done at AAE. He was such a lucky one to get to go home with Waylon. 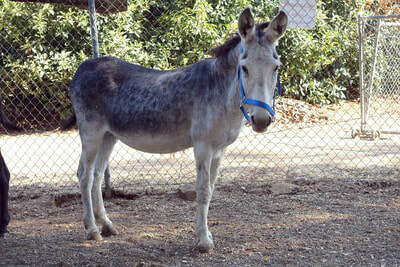 Burro #032, Zac, was also a bit shy, and slowly accepted humans with leading and grooming. Not long after his teeth, vaccines and deworming were done at AAE, and shortly after Lefty went home, so did Zac. 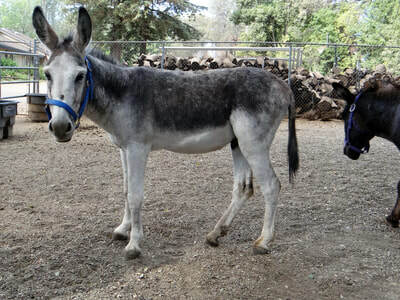 There are many more young mustangs and a few burros still in need of homes. We are so happy we've been able to collaborate with DreamCatcher to aid in their efforts! We wouldn't be able to help without your continuing support! Thank you!